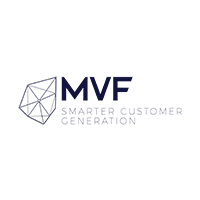 MVF’s customer generation platform helps ambitious businesses grow by delivering massive volumes of high-quality sales leads. MVF has been fundamental in helping the likes of Salesforce and Verizon to expand globally. MVF’s proprietary technology and multi channel marketing provides clients an unparalleled reach into new markets and channels, delivering engaged customers in real-time to fuel sustainable growth for some of the world’s most ambitious businesses. In 2013 MVF was recognized as the fastest growing UK tech company in the prestigious UK Tech Track Awards, and has since grown revenues by 600%. The company now employs over 400 people across the UK and USA. In 2018, the Sunday Times Best Companies Awards recognized MVF as the best company to work for in London.